This is fascinating. New York Times’s Stanley Reed writes about an alternative to nuclear and fossil fuel energy that would allow us to live off the grid, free of Eskom and the coal producers. Importantly it allows us to share our energy surplus like an electricity sharing version of Facebook. 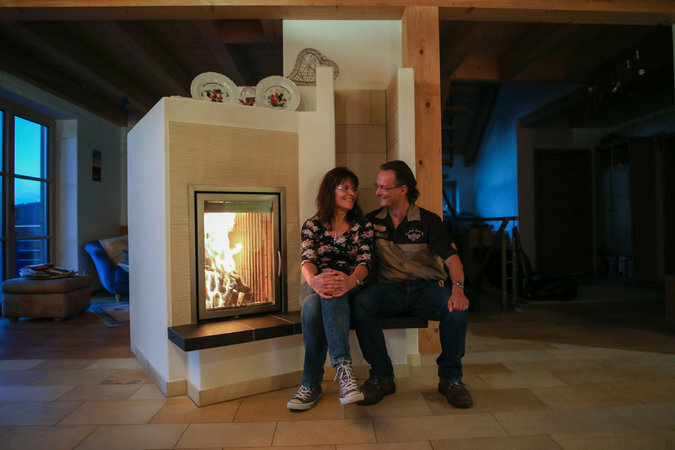 Although the Lachers have paid thousands of euros for all of their energy-saving and generating equipment, they say their investment will be worthwhile in the long run. They say that being more independent will buffer them from the stiff increases in electric bills that they and other consumers have come to expect from Germany’s large utilities. They are also happy to have largely weaned themselves off electricity generated by nuclear power and fossil fuels like oil and gas. “I can pride myself that I can save money, and it is good for the world,” Mr. Lacher said. A big chunk of the Lachers’ investment went for a battery supplied by a company based in this Alpine village. 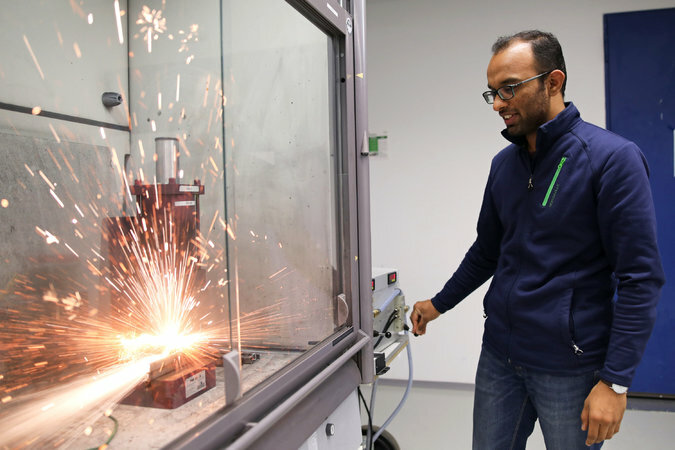 The company, Sonnen, is a small enterprise with about 400 employees, but it has big ambitions. It started out supplying batteries, but it wants to parlay its skills in storing and digitally managing electricity to challenge and even supplant the giant utilities. Germany is as good a place as any other to observe the shake-up that is rolling through the global electricity market. As part of the national effort Energiewende, or energy transition, German consumers have spent about €190 billion over the last two decades to subsidize renewable energy sources like wind and solar. These renewables now account for about one-third of German electric power on average and reached a high of 86 percent on a day in May 2016. Renewables as power sources have characteristics that are quite different from the giant natural gas, coal and nuclear plants owned by the large utilities. Smaller and scattered around the country, renewable power installations, especially solar panels, tend to be owned by small investors like the Lachers rather than by big companies. Renewables also drive down the prices generators receive, helping to turn electricity into a low-margin commodity. The emergence of renewables is reshaping the relationship between consumers and energy providers, which is vital to the quality of life but is often taken for granted. Empowered by the availability of new electricity sources and options from emerging digital technology, consumers can demand more than just electrons down the wire. As a consequence, energy providers, once almost unassailable incumbents, are being forced to win their “right in the marketplace of the future,” said Jöorg Stäglich, a partner in the energy practice at Oliver Wyman, the consulting firm. Sonnen helps customers to reduce or even break their links with utilities. It provides customers with batteries and the controls to manage them. With one of these devices, which come in white steel cases up to six feet long, customers can store excess power generated by their solar panels during the day and then draw it down when needed. The company also goes a couple of steps further. For a €20 monthly fee, its customers, while not quite off the grid, can rely on their community rather than the major utilities for their power. The company recently announced plans to establish one of its electricity-sharing communities in a 2,900-home development in Arizona. Sonnen also taps into some of its customers’ batteries and makes the aggregated power available to the grid operators at times when the waxing and waning of flows from wind and solar creates a need. With the resulting income, the company is able to supply electricity to customers who pay the monthly fee. Analysts say that Sonnen has a reasonable chance to thrive in the electricity market of the future because it already has a substantial customer base for its battery systems, with the experience and feedback that brings. “What they are building with their community offering is a natural extension of their business,” said Damien Sauer, head of Europe for Greentech Capital Advisors, which advises on clean energy deals. Sonnen has received backing from a major American corporation, GE, and venture funds. The company, which has a presence in the United States and Australia along with Europe, is growing fast. Last year revenue increased by two-thirds over the year before to €42 million. Sonnen says it is working with the authorities in Puerto Rico, where the power grid was heavily damaged by Hurricane Maria, to fill some of the gaps with what it calls microgrids based on batteries and solar panels. In Germany, Sonnen is tapping into an ethos of energy independence enabled by the growth of renewables and other breakthroughs. 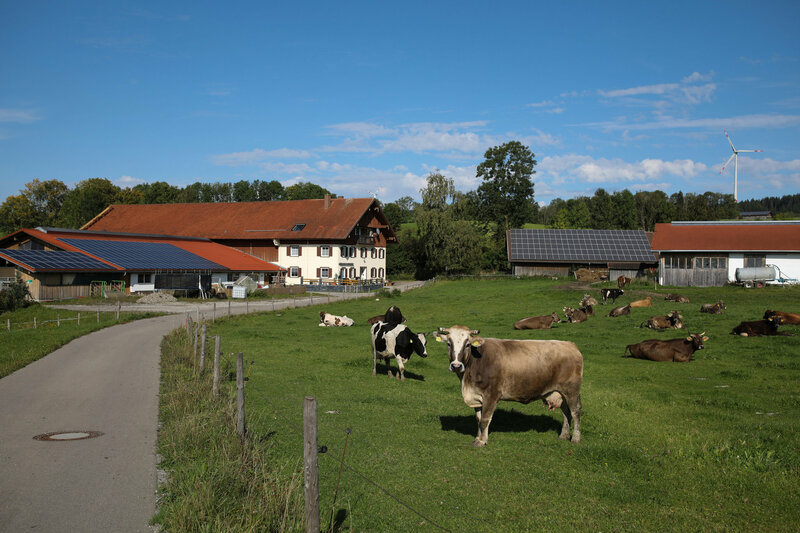 One might not think of bucolic southern Bavaria as a technology hub, but here in Sonnen’s home village, many of the 2,600 residents have invested €40 million over the years in a variety of energy technologies. The village produces about seven times the energy it consumes, selling the surplus to the power grid. Wind turbines spin on a nearby hillside, and many of the brightly painted houses are heated with cooling water from generators powered by methane gas produced from local cow manure. Some of the money earned goes to subsidize municipal activities like ski trips run by a sports club. 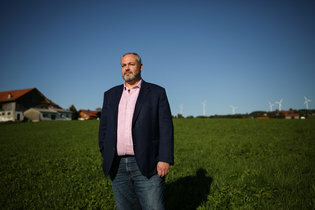 In general, the village restricts these investments to local people, adding to their popularity with residents, said Günther Mögele, the deputy mayor and energy coordinator. “If big companies had invested, I am sure they wouldn’t like them,” he said, referring to the giant wind turbines. 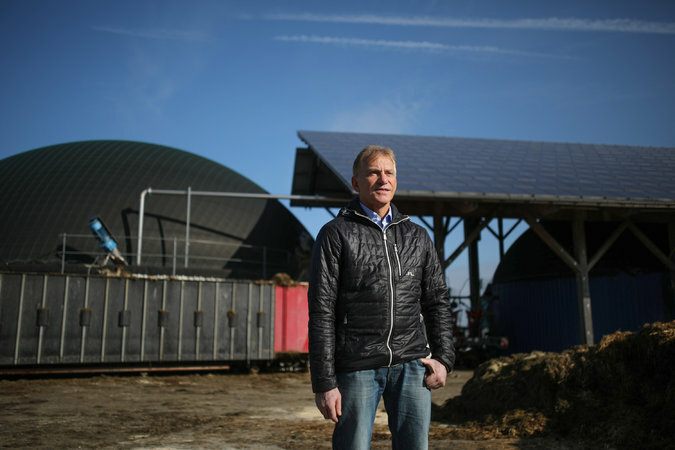 Still, Wildpoldsried’s energy ventures have drawn experts from companies like Siemens, the electrical equipment supplier, to experiment with the village’s grid. The local interest in energy is also attractive to Sonnen, one of whose founders grew up nearby. Above all, Sonnen aspires to fill a need that has been created by the abundance of renewables: storing their excess power and saving it for an opportune time. Although the scale of the company’s activities is relatively small, its leaders say it could become much larger. “We think we are just at the beginning of a megatrend,” Mr. Ostermann said.